Vice President Mike Pence, right, stumped for Rep. Pete Sessions, left, in Dallas on October 8, 2018. Pence and President Donald Trump have supported Sessions as he faces his toughest challenge in years from Democratic civil rights attorney Colin Allred. The race for Texas’ 32nd Congressional district is drawing a lot of national attention, and a lot of money. Long a safe Republican district, voters picked Hillary Clinton over Donald Trump by less than two points in the 2016 presidential election. 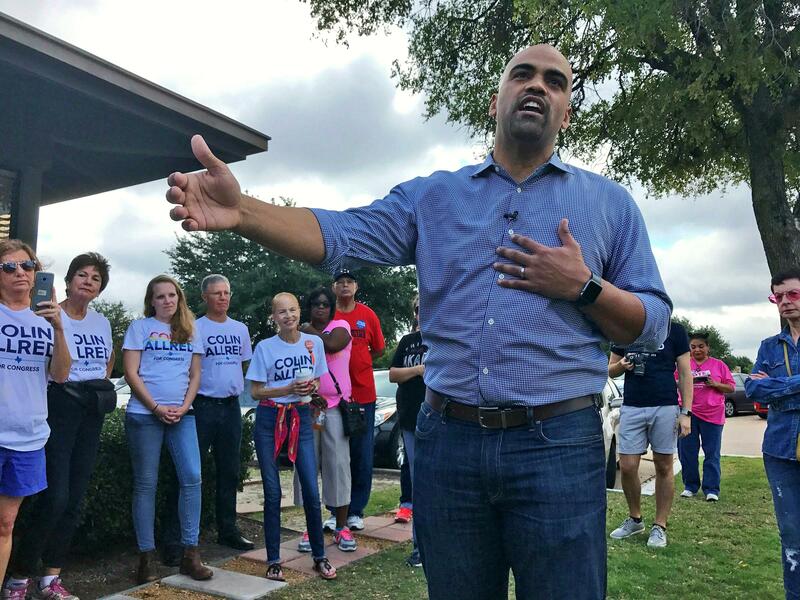 Now, longtime Dallas Representative Pete Sessions is facing his toughest challenge in years — Democratic civil rights attorney Colin Allred, who grew up in the district. One sign national Republicans are paying attention to this race came in the form of Vice President Mike Pence, who visited Dallas on Oct. 8 and held an event with Rep. Sessions. “Texas and America need Pete Sessions back in a renewed Republican majority on Capitol Hill,” Pence told the crowd. In a hotel ballroom packed with supporters the next day, Sessions laid out the stakes in this year’s election. Pete Sessions has been in Congress since 1997, representing the 32nd Congressional District since 2003, when the seat was added after redistricting. It covers most of North Dallas and some of its northeastern suburbs. Over his career, Sessions has earned a reputation as a scrappy campaigner, a prodigious party fundraiser and a wily political tactician. He’s lauded as the architect of the 2010 Republican sweep that put the GOP in charge of the House. Now, he’s a chairman of the House Rules committee. Over the years, Sessions fought off challenges from Democrats and other Republicans, in part by focusing on his role as a friend of the business community. Civil rights attornehy Colin Allred talks to campaign volunteers before a day of canvassing and phone banking. Allred says his campaign has knocked on more than 125,000 doors in the Dallas-area district in his bid to unseat long-time Rep. Pete Sessions. Sessions returns to pointedly partisan reasons for voters to pick him over his opponent, Colin Allred, a strategy on display across several Texas races. “You get somebody that’s for Nancy Pelosi or you get a market based system, which is what I have stood for,” Sessions said. But Allred said all too much time in Washington has left the congressman out of touch with his district. His campaign has knocked on more than 125,000 doors, by his estimation, and he thinks voters are ready for a change. “The North Texans I’m talking to want somebody that’s focused on our local issues here, who will put something over party, who will put something over political career and political advancement," Allred told KERA after rallying campaign volunteers on a recent Saturday. Allred grew up in Dallas, a Hillcrest High School football star who went on to play in the NFL. 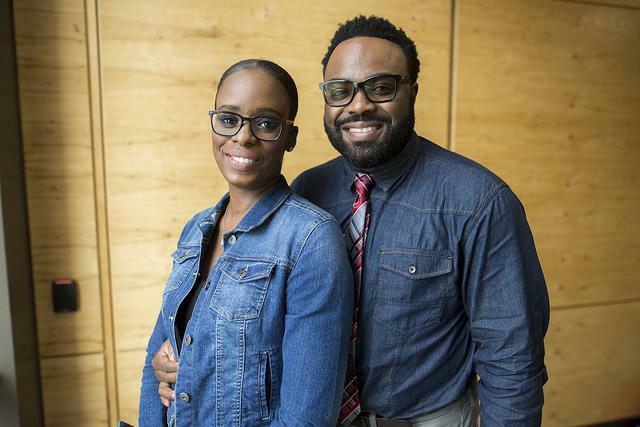 He worked in the Obama Administration as a civil rights lawyer before coming back to Dallas. He was the first Democrat to launch a challenge to Sessions in this election cycle, and won a tough primary and runoff in a crowded field that included several strong candidates. Allred has focused on bread and butter issues: healthcare, education, job training and raising the minimum wage. Allred is banking on the fact that this district is changing: It’s grown more diverse, and a lot of new people have moved in, making this once solidly Republican district a battleground. 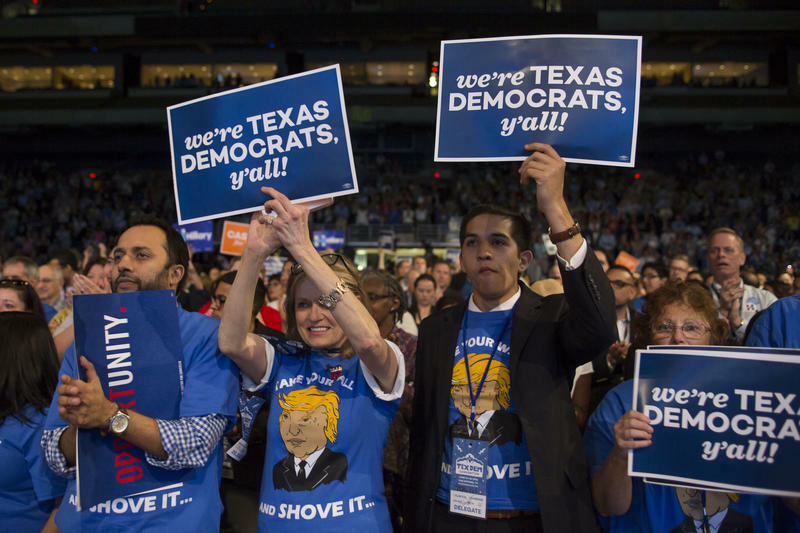 “Here in Texas we have had some of the lowest turnout, some of the lowest engagement in our political conversations, and that, I think, is changing this year,” Allred said. Both candidates are raising big money: Each has raised more than $4 million. As the race has heated up, big money has flooded in from outside groups on the left and right. All of that has unleashed a flood of TV ads. America First Action, a superPAC aligned with President Trump, is spending more than $2.5 million defending Sessions. House Speaker Paul Ryan’s super PAC is going even bigger with a plan to spend $2.7 million. On the other side, the liberal House Majority PAC and the Democratic Congressional Campaign Committee plan to spend at least $2.7 million backing Allred. Political scientist Victoria Farrar-Myers at Southern Methodist University said it takes a lot of money to run a competitive campaign in this expensive media market. “You’re talking a lot of dollars that will need to be spent to reach a lot of voters because you can’t count on social media reaching out to the traditional population that turns out the most – 65 and above, and they may or may not be on a computer,” she said. But huge gobs of national political cash flowing into Texas is unusual, Farrar-Myers said. Typically, money flows out from Texas to fund the fight tight races across the country. 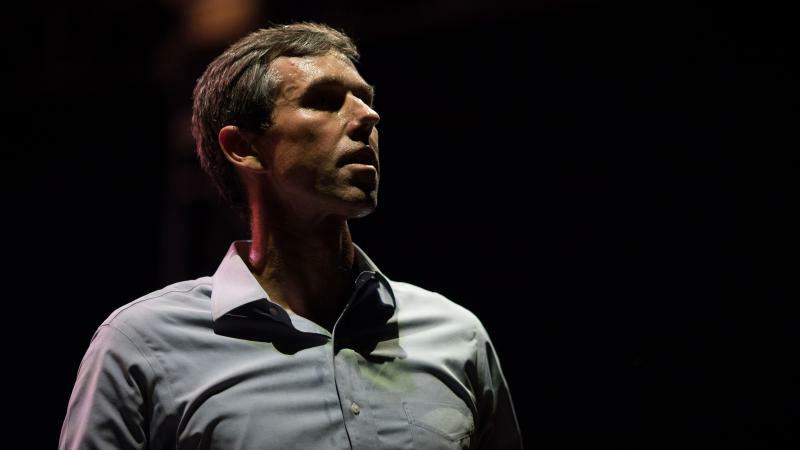 The Senate race between Ted Cruz and Beto O’Rourke and a handful of suddenly competitive congressional districts are also attracting outside attention and donations. Farrar-Myers said Democrats want to put Texas in play long-term. Regardless of who wins on Nov. 6, Farrar-Myers said the Democratic Party will try to build on the energy and infrastructure created this year. And Republicans will do everything they can to keep the state bright red. KERA's Sam Baker moderated a public forum between Allred and Sessions on Sunday at Temple Shalom in Dallas. Read our coverage here. Vice President Mike Pence came to Dallas on Monday to campaign for a pair of Republican incumbents, U.S. Rep. Pete Sessions and U.S. Senator Ted Cruz. Both are facing tough Democratic challengers. North Texas congressman Pete Sessions is drawing criticism for recent remarks about a domestic violence incident, in which he seems to imply a woman was killed by her husband because she won an “unfair” divorce settlement. A Sessions spokeswoman says the longtime North Dallas congressman misspoke, but his Democratic challenger pounced, accusing Sessions of excusing domestic violence. That’s what Barack Obama told his forlorn supporters in his farewell address last year as he prepared to leave office. One group that seems to have taken that message to heart are the people who worked in his administration. Texas Republican Sen. Ted Cruz's re-election campaign has not been shy about attacking his opponent, Democratic Rep. Beto O'Rourke, on television. 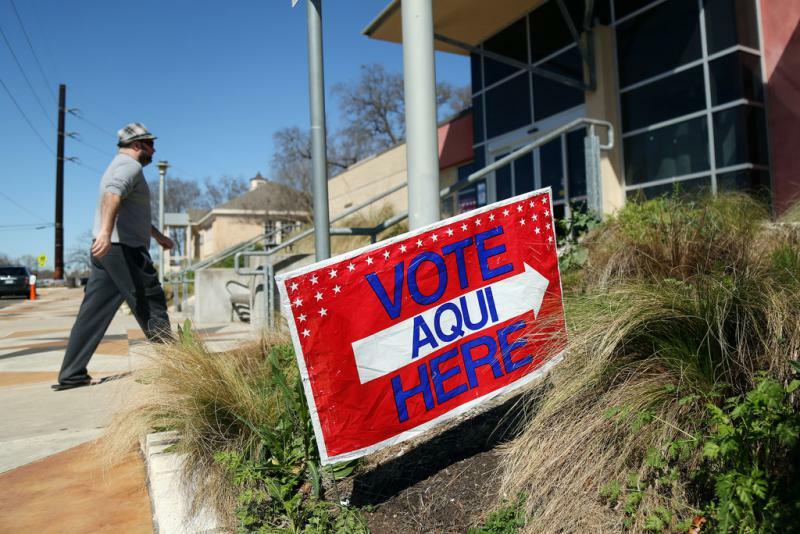 The uptick in the number of Democrats running across Texas this election cycle has exposed a weakness in the party’s statewide apparatus: a shortage of experienced operatives equipped to run so many campaigns.